Just to warn you that this will be a very yellow week! 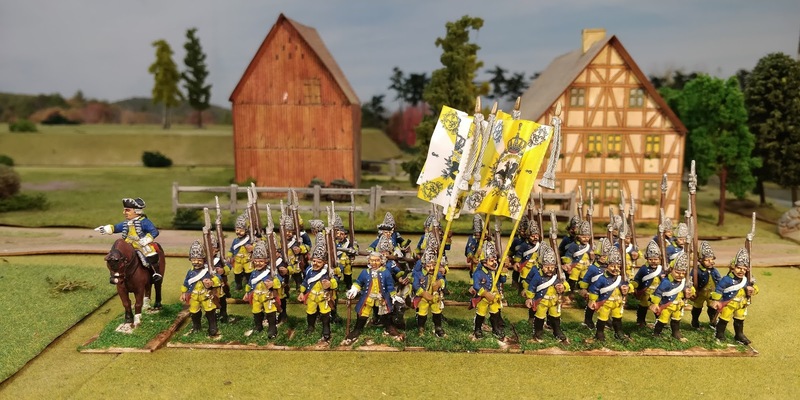 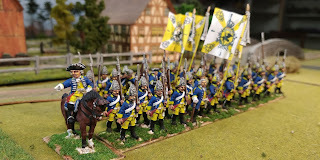 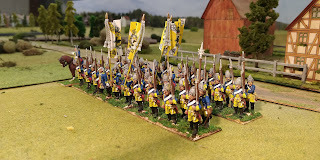 This Prussian Fusilier regiment has an overkill of yellow and later this week I will post another WAS Piedmontese battalion with yellow facings. Yellow is a tricky colour to paint as it frequently needs two or three applications and, to get some depth, I use an undertone of Sand colour. 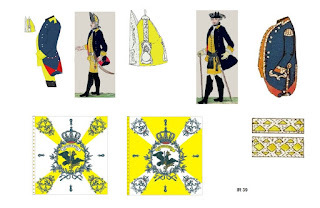 This regiment was present at the battles of Prague, Breslau and Leuthen.